Du verwendest einen veralteten Browser. Bitte aktualisiere deinen Browser zu deiner Sicherheit und für die Funktionalität dieser Webseite. TherapieAPPs und mehr für Patientinnen und Patienten mit Aphasie. Nicht speziell dafür konzipiert, aber eine große Hilfe für manche Aphasie-PatientInnen. Eine Art Schreibprogramm mit praktischer Hilfe. Use existing text to make your own new piece of creative writing in four simple stages: choose, erase, arrange and share. 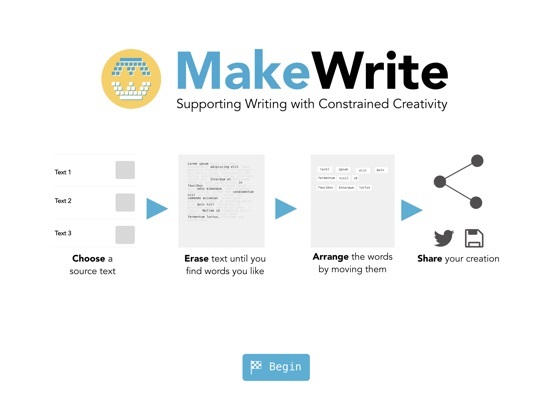 MakeWrite was co-designed by and for people with aphasia (a language difficulty following brain injury). It offers an accessible way for anyone to create and share texts. 1. Choose > Select a piece of writing to use as your starting point – either from the choose screen or pasted from your iPad’s clipboard. 2. Erase > Automatically erase most words from the text to reveal a small set of words for you to work with. Adjust the settings and re-run the erase step until you find a set of words you are happy with. 3. Arrange > Arrange the remaining words to make a new piece of writing. 4. Share > Share your creation with others via the apps on your iPad. Eine Übung zum Benennen in verschiedenen semantischen Felder im Haushalt. Bisher leider nur in Englisch und Spanisch. iName It is specifically designed to help individuals with difficulty recalling the names of common items found in the home. 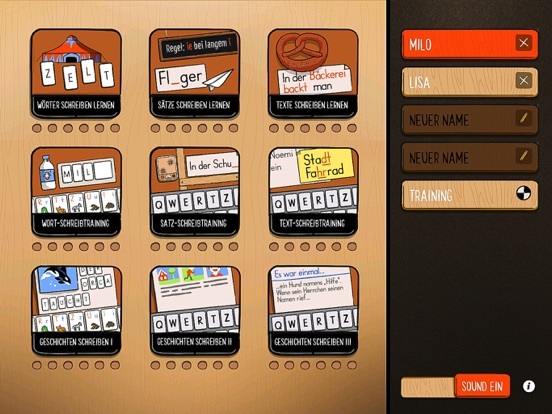 Developed by speech-language pathologists, iName It provides users with a systematic way to recall functional words needed for activities of daily living. iName It consists of fifty nouns that are displayed within the context of the rooms where they are typically located, such as bedroom, bathroom, kitchen, etc… Each target word can be elicited by using one of more of the five different types of cues available: phonemic, phase completion, whole word or semantic. This version of iName It is available in English, Spanish, and Portuguese. iName It is a single-player app specifically designed to be used by a speech-language pathologist or caregiver such as a family member. 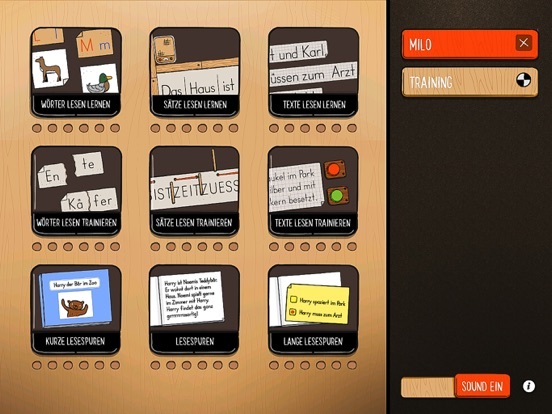 From the home screen, the user has the option to select “start practice,” “about,” “results,” or “support.” By selecting the “start practice,” the user can choose, or create, a client avatar. Once the client is selected, the screen automatically populates with a choice of five visual scenes. A tap of the screen allows the scene to be selected, and a task bar displays the items to be found within the scene. By selecting one of the items, the available prompts are displayed. If the client doesn’t need to utilize a prompt to name the item, a simple tap of the “got it” button tracks the answer. iName It tracks data throughout the app. In the “results” area, the user selects the appropriate client avatar. The data report will display indicating the dates the app has been used, overall accuracy without cues, overall accuracy with cues, and which type of cue was most successful. Each session is recorded by date and visual scene name. The session data report can then be emailed, printed, or exported to the Therapy Report Center for easy progress monitoring and report writing. iName It is designed to work on word-retrieval secondary to aphasia, and includes 10 target items for each household scene: bedroom, kitchen, living room, bathroom, and garage. Each scene is realistically depicted specifically to assist with visual and sentence completion clues. In addition, the app contains several types of clues or prompts to assist with the verbal recall. Improve word finding of common functional words found in the home and community. Provide several types of cueing options to meet the needs of a wide range of clients at varying communication levels. These include printed cues, a definition prompt, a semantic prompt, a phonetic cue (initial sound), and the written word. Each of these prompts was designed using the five types of evidenced based cueing suggested as being useful for word-finding (Hillis, 1993; Nickels, 2002, Wambaugh, 2007). Literature suggests using initial syllable cues and sentence completion cues may trigger motor commands for articulation and be beneficial to individuals with apraxia of speech as well (Love, 1977). iName It can be used effectively by Speech-Language Pathologists and caregivers working with individuals experiencing word finding difficulties. 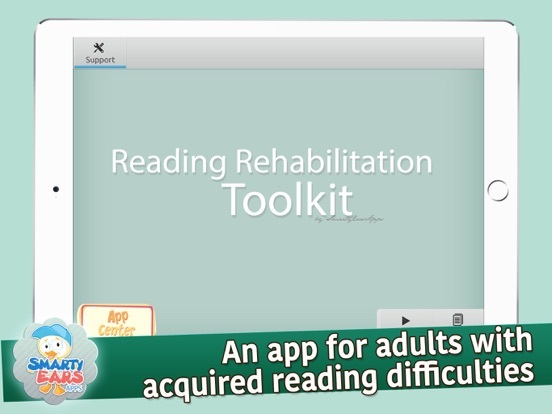 It is specifically designed to assist people with a wide variety of word-finding deficits. Although the app is designed primarily for use by adults, it can be used with adolescents and children. 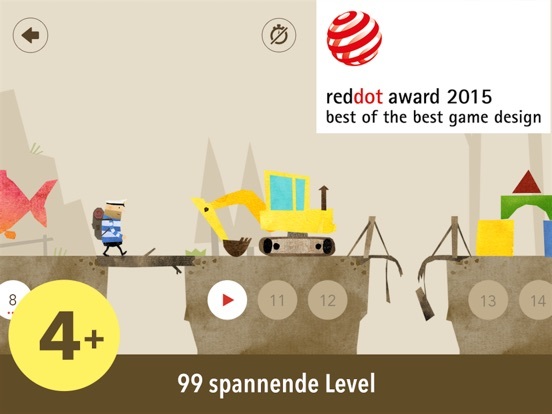 This Application is designed for adults, but can also be used with adolescents and children. I Name It targets individuals with word finding difficulties secondary to aphasia. Additionally, it can benefit individuals with apraxia that are assisted by visual and sentence completion cues. CMI Technologies, spol. s r.o. Der Token Test als Bewertungsgrundlage für das Sprachverständnis und die Merkspanne kurzer Instruktionen. Token Test focuses on the quantification of the receptive function and short-term verbal memory of aphasics. The application is intended for professionals, particularly speech therapists, neurologists, neuropsychologists and psychologists. It contains two variations of the test, for children and adults, based on the study: The Token Test: A sensitive test to detect receptive disturbances in aphasics, De Renzi E., Vignolo LA., Brain 1962; 85:665-678. Missing a localization to your language? Help us extend Token Test app to other languages. 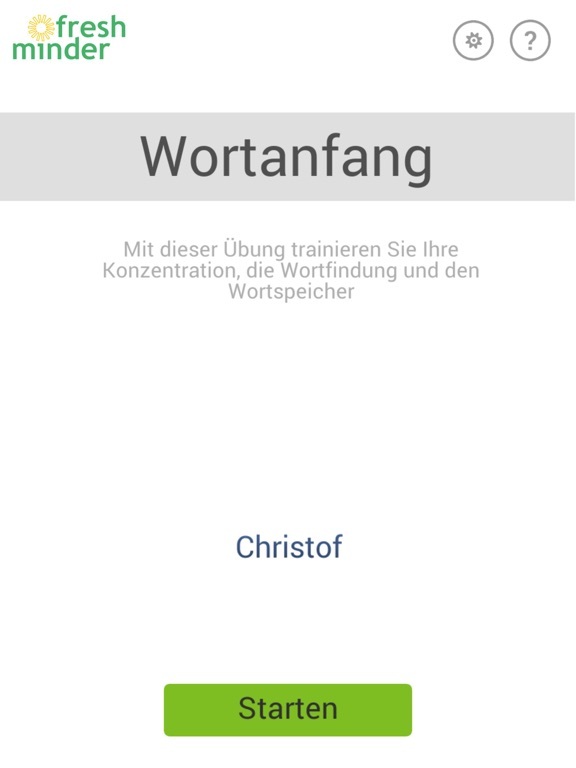 Eine TherapieAPP rund um das Schreiben. 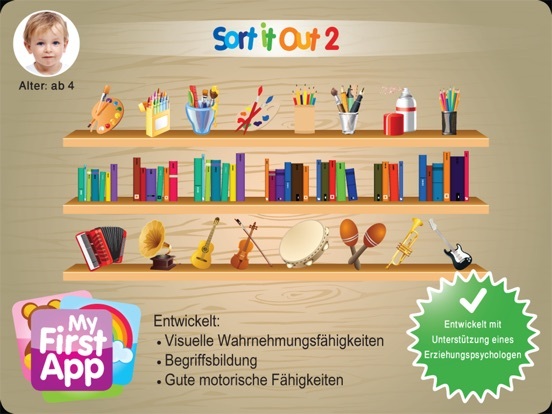 Am besten für LRS und Kindersprache geeignet. Teilweise aber auch für Aphasie-Patienten. 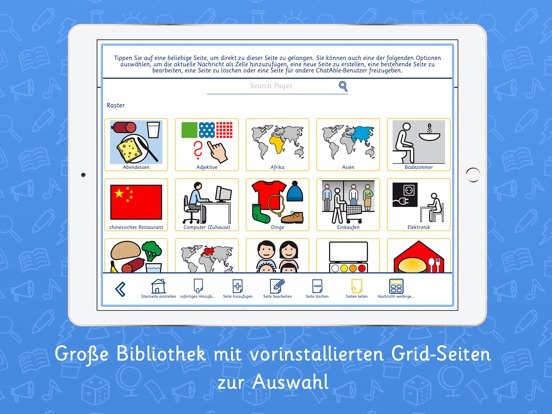 Mit den preisgekrönten Apps der appolino®-Reihe lernen Kinder zuhause und in der Schule spielerisch lesen, schreiben und rechnen. Von Fachdidaktikern entwickelt führt appolino die Kinder in einem ausgeklügelten Aufbau schrittweise durch die grundlegenden Kompetenzen in Sprache und Mathematik. Das Tempo passt sich dem individuellen Lerntempo der Kinder an: Erst wenn sie eine Lernstufe meistern, werden die Aufgaben schwieriger. Spielerische Elemente, kindergerechte Themen und wunderschön gestaltete Bilder und Figuren machen das Lernen zu einem lustvollen Erlebnis! 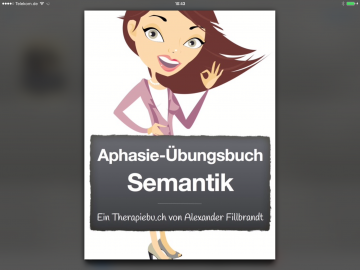 Eine TherapieAPP rund um das Lesen. Die Darstellung ist zwar an Kindern orientiert, aber auch für den Einsatz bei Aphasie-Patienten geeignet. 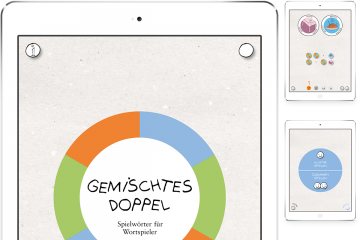 Mit den preisgekrönten Apps der appolino®-Reihe lernen Kinder zuhause und in der Schule spielerisch lesen, schreiben und rechnen. Von Fachdidaktikern entwickelt führt appolino die Kinder in einem ausgeklügelten Aufbau schrittweise durch die grundlegenden Kompetenzen in Sprache und Mathematik. Das Tempo passt sich dem individuellen Lerntempo der Kinder an: Erst wenn sie eine Lernstufe meistern, werden die Aufgaben schwieriger. Spielerische Elemente, kindergerechte Themen und wunderschön gestaltete Bilder und Figuren machen das Lernen zu einem lustvollen Erlebnis! 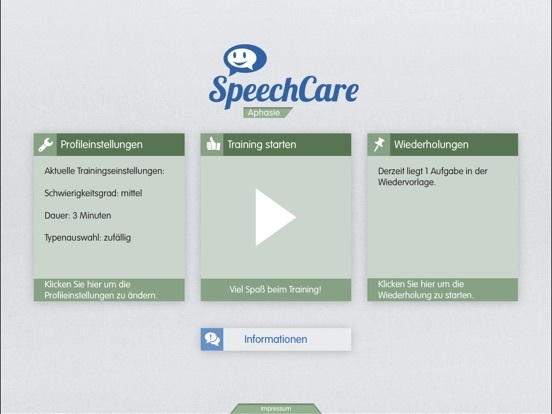 Take your speech therapy to the next level! 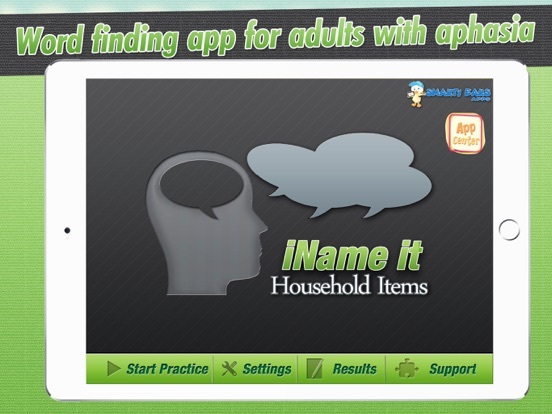 Practice word-finding skills for adults with aphasia after stroke with this evidence-based app. Four engaging activities give you lots to talk about in new ways as you improve higher-level expressive language skills including thought organization, attention to detail, and mental flexibility. 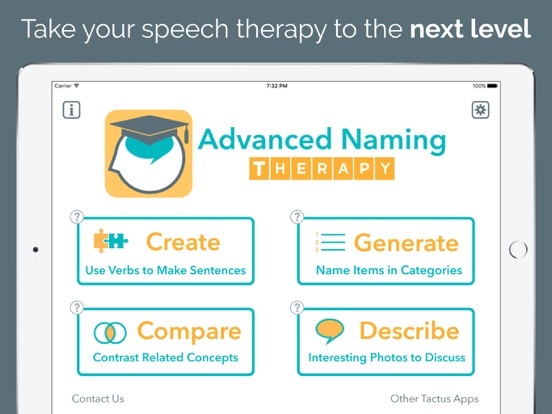 Advanced Naming Therapy is your next step up from our best-selling Naming Therapy app – perfect for the speech therapy clinic and home practice for people with aphasia, cognitive-communication challenges, and unclear speech after stroke. 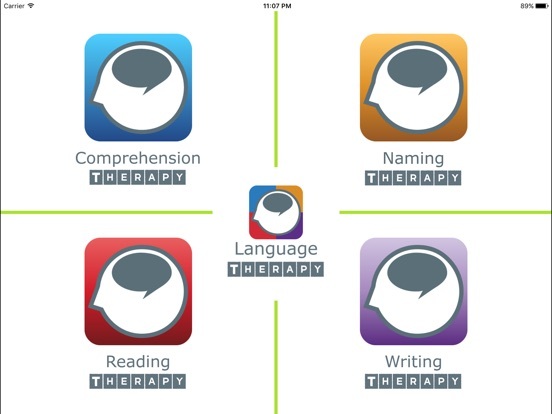 Challenging, fun, and perfect for groups, Advanced Naming Therapy will be your “go-to” app for verbal expression. 1) CREATE sentences using 250 action words based on the evidence-supported Verb Network Strengthening Treatment (VNeST) method for aphasia. 2) GENERATE words in over 300 sound- and meaning-based categories to stretch your mental dictionary as you improve verbal fluency and speed after stroke. 3) DESCRIBE over 500 interesting photographs that will make you laugh or scratch your head – and talk! 4) COMPARE and contrast over 200 pairs of items from concrete to abstract using verbal reasoning skills. Over 1,250 unique stimuli – you won’t get bored as you improve with this exciting speech therapy app! These activities can help people with aphasia or anomia after stroke, cognitive-communication challenges after brain injury, tip-of-the-tongue sensation during conversation, or other cognitive and communication challenges. 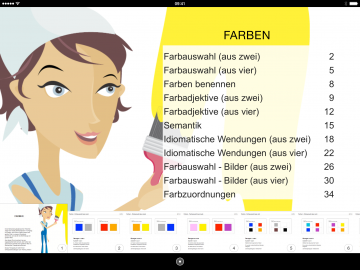 Download now to get started – or try it for FREE with Advanced Language Therapy Lite! Das neolexon Therapiesystem unterstützt Logopäden und Sprachtherapeuten in ihrer täglichen Arbeit. Mithilfe von neolexon kann individuelles Übungsmaterial für jeden Patienten zusammengestellt und logopädische Übungen flexibel auf dem Tablet durchgeführt werden. Im Internetbrowser oder in der Therapeuten-App kann der Logopäde zeitsparend individuelle Übungssets für jeden Patienten individuell aus rund 8.000 Wörtern (Nomen und Verben) und 1200 Sätzen zusammenstellen. Dabei können die Wörter nach persönlichen Interessen des Patienten, nach semantischen Feldern (z.B. Kleidung oder Weihnachten) und nach bestimmten Worteigenschaften (z.B. nur zweisilbige Wörter mit dem Anfangslaut /a/) ausgewählt werden. 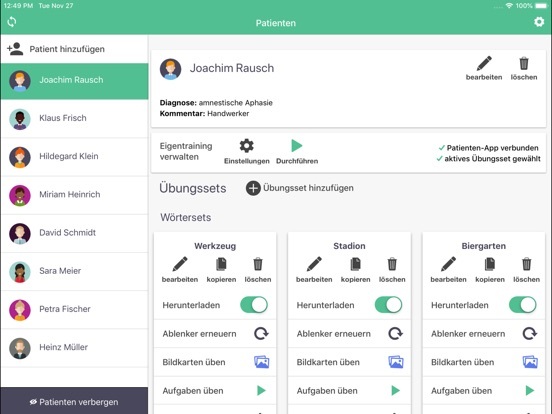 Die App bietet die Möglichkeit, die ausgewählten Wörter und Sätze in flexibel einstellbaren Übungen zu gemeinsam mit dem Patienten in der Therapiestunde zu trainieren. Es werden die Bereiche auditives Sprachverständnis, Lesesinnverständnis, mündliches sowie schriftliches Benennen trainiert. Außerdem steht die Funktion „Bildkarten“ zur Verfügung, mit der der Therapeut freie Übungen mit dem Übungsset durchführen kann. Die einzelnen Übungen sind in ihrer Schwierigkeit feinstufig einstellbar. Es kann die Anzahl der Ablenker-Bilder festgelegt werden und ob diese zum Zielwort semantisch relatiert sind. Beim Übungstyp Schreiben kann zwischen Lückenwort, Anagramme Legen und freies Schreiben mit der ganzen Tastatur gewählt werden. Während dem Üben in der Therapeuten-App werden die Therapieerfolge automatische aufgezeichnet und stehen im Anschluss in übersichtlichen Grafiken zur Verfügung. So können die Übungssets und Übungseinstellungen je nach Therapieerfolg individuell und fortlaufend angepasst werden und es ist sichergestellt, dass der Patient stets an seiner individuellen Leistungsgrenze übt. neolexon wurde von einem Team aus Sprachtherapeuten und Informatikern an der Ludwig-Maximilians-Universität München entwickelt und ist als Medizinprodukt zertifiziert. 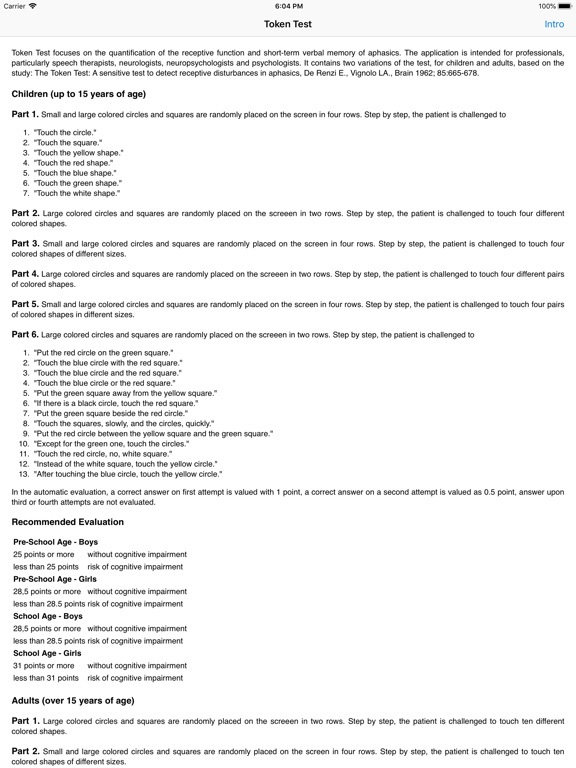 iScreen Aphasia is a new tool to aid in the evaluation and treatment development process of patients with aphasia. 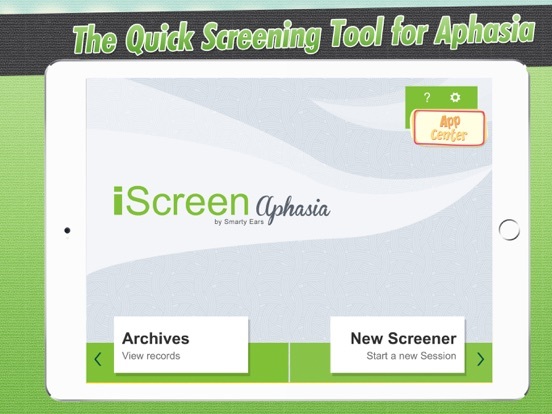 This screening tool will guide you through a complete expressive and receptive language screening process, assist you in diagnosing type of aphasia and provide percentages of accuracy for each area screened including the corresponding G code modifier. 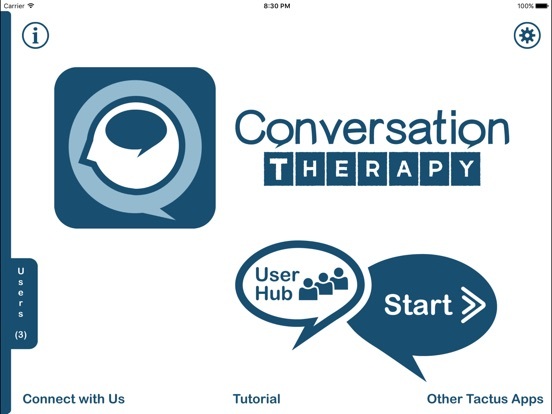 Whether or not you have access to a standardized aphasia assessment, this app will allow you to screen each patient quickly and efficiently to guide your therapy plan of care and will give you a quick and easy reassessment tool to monitor progress and determine discharge criteria. You will be able to enter patient information including information regarding the neurological event, site of lesion, prior level of function, etc. which will all be included on the final report. Upon completion of each task you will be able to print or email a simple to read, comprehensive report of the screening results. Logik-Spiel mit Fiete. Was passt nicht zu den anderen?